Construction and consultancy firm Mace has appointed former AECOM boss Sean Gray (pictured) as its new director of transportation. 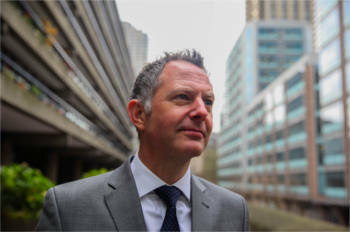 Mr Gray spent four years as AECOM's UK head of infrastructure and has 20 years’ experience working across rail, water, highways, energy and aviation sectors including leadership roles and secondments on Heathrow’s Terminal 2, Crossrail and HS2. In his new role, he will lead a multidisciplinary project and cost management team working with the likes of Highways England, Transport for London, and Network Rail. Mr Gray has been appointed to replace Mace’s Davendra Dabasia, who has joined Mace’s consultancy board and has been promoted to oversee all of Mace’s new business activity in global programmes and infrastructure; as well as operations in Sub Saharan Africa.